High performance organizations use coaching to elevate productivity. Coaching is no longer seen as merely a tool for fixing behavior but as a proactive, development solution. A study by the Human Capital Institute and Lee Hecht Harrison found that nearly 60 percent of respondents reported that their executives meet with an external coach or consultant on an as-needed basis. Additionally, 32 percent report that coaching is not limited to senior executives. Coaching helps your organization prepare high-potential employees for future positions, accelerate a new leader’s transition, and build leader's awareness of strengths and weaknesses. MRA Coaching features a powerful, structured, one-on-one proven approach designed for managers, leaders, and individual contributors at all organizational levels. Our coach meets with your stakeholders to understand overall goals and desired outcomes. Successful coaching outcomes start with establishing a strong partnership between the coach, leader to be coached, and his/her manager to ensure the leader’s development goals are aligned with the organization’s goals. Coach and leader identify strengths, challenges, and areas for development. This step may include assessments and other tools to identify needs and to better understand priorities and appropriate strategies for reaching the coaching objectives. Feedback from the leader’s manager makes sure the coaching goals are on target. Coach and leader implement a development plan. After development needs are identified and clearly stated, the focus is on action plans, short-term measurable targets, and both internal and external accountability. Periodic check-ins with the leader’s manager keep the partnership strong and on track. Are Coaching Services Right for My Organization? Based on an understanding of your organizations' needs, we prepare a proposal outlining the specific actions and expected results of the coaching process. We offer a comprehensive suite of services designed for leaders at all organizational levels. Individual coaching to maximize C-suite executive effectiveness. Individual manager coaching to improve leadership abilities and overcome career-stopping hurdles. Coaching, training, and development services to build an organization-wide coaching culture. Team coaching to improve the dynamics of leadership team. 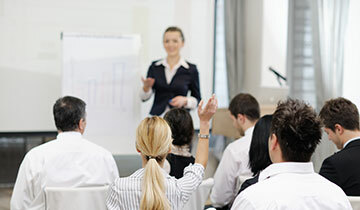 Coaching certificate programs to prepare internal staff to coach. Customized workshops conducted at your location to train leaders to provide developmental coaching for employees. MRA's coaching professionals have strong business backgrounds and extensive experience in results-focused coaching. MRA coaches provide practical advice to achieve a measurable return on investment. Our coaches have completed MRA's Coaching Certificate to ensure consistency between coaches and quality throughout the process. We select a coach to fit well with your organization’s culture and the leader’s style and personality. We tailor all coaching to satisfy both individual and organizational desired outcomes.